About 4,000 garbage collectors are operating more than a total of 2,160 garbage collection and transport vehicles in the city, according to Tran Van Thach, deputy director of the city’s Department of Natural Resources and Environment. Thach spoke at a conference on Wednesday held by the city’s People’s Committee and Department of Natural Resources and Environment to review the classification of household solid waste at source and the replacement of private garbage collectors’ vehicles. 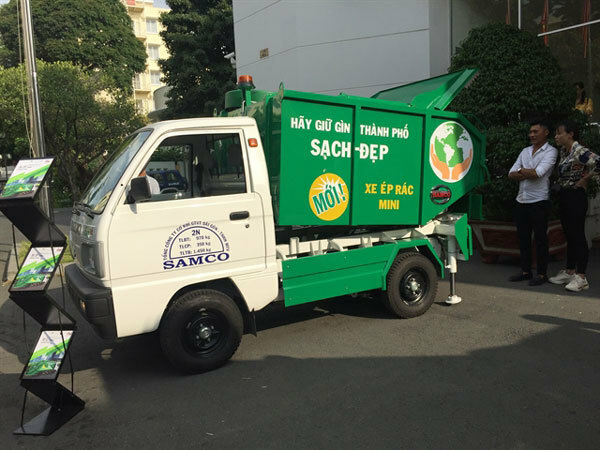 Le Trung Tuan Anh, head of the department’s Solid Waste Management Division, said the city had created favourable conditions for private garbage collectors to spend the lowest amount of money to replace their current vehicles. The department is working with enterprises such as SAMCO and Hiep Hoa Group to offer affordable prices for new vehicles. Each member of a co-operative can access unsecured loans from the city’s Capital Aid Fund for Cooperative Members (CCM) up to VND40 million (US$1,700) for the first time and up to VND60 million ($2,600) for the second time, at an interest rate of 0.7 per cent per month for two years. Vo Van Hung, chairman of the Binh Chanh Environment Service Co-operative, said his co-operative supported the replacement of current vehicles but more time was needed. Currently, the co-operative has 153 vehicles for collecting and transporting waste. To replace all of the vehicles, up to a total of VND60 billion ($2.6 million), would be needed. “Many residents do not sort their household waste as required, and do not pay waste collection fees, which causes difficulties for garbage collectors,” Hung said. By 2020, the pre-treatment garbage classification programme is expected to be carried out throughout the city.